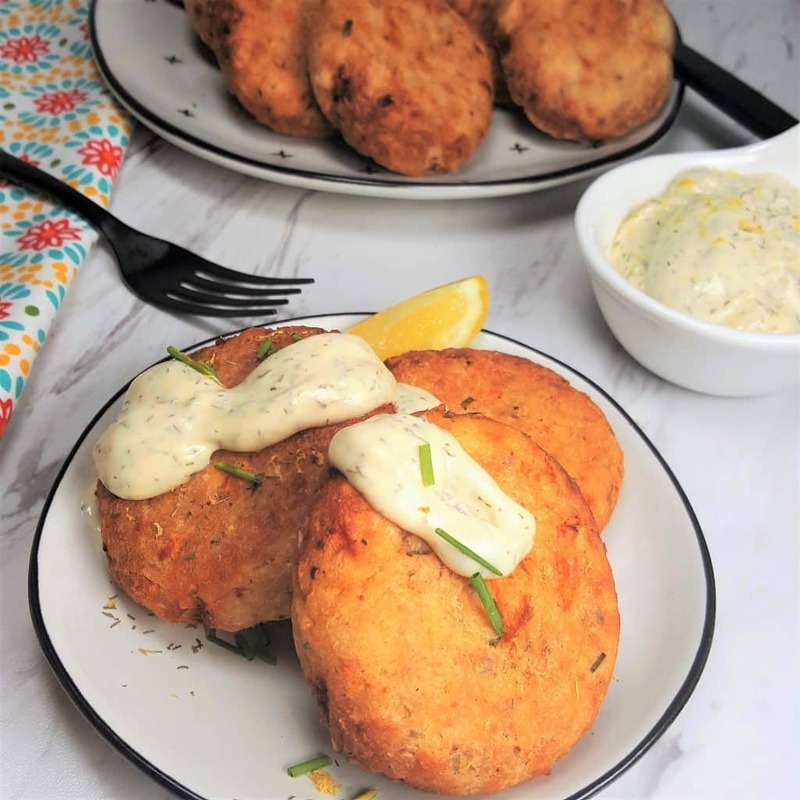 Crispy on the outside and moist and creamy on the inside, “Jewish Style” Air Fryer Salmon Croquettes make a perfect Friday Night meal. I grew up with Salmon Croquettes. It is one of the few things I remember my mother cooking. It was actually really good too….even when I was not really a fish eater. While I love the Pan-Fried version, the Air Fryer does a really good job making an Air Fryer Salmon Croquettes version. The most time consuming part of making Air Fryer Salmon Croquettes, is removing the skin and bones from the Salmon. You can use Bumble Bee Salmon Pink Salmon or buy a Fresh Salmon Fillet and cook it in your Air Fryer. We love to fish, so we have caught our own Salmon and made Salmon Croquettes. Canned Salmon comes rolled up and there are usually four layers. What I find easiest, is to break the layers apart and work with one piece at a time. Rinse each layer under cool running water, as you rub off the skin and pull out the backbone and small bones. 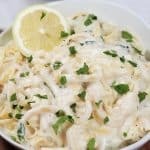 Take your time on this part, as you don’t want to choke on a bone and then place the clean fish in a Medium Mixing Bowl. I’m also sensitive to fishy tasting fish, so I remove the darker color Salmon too. See that little Mason Jar in the bottom left of the photo? That is my Lemon Dill Aioli. You are going to want to make up a batch of it and pop it in the refrigerator. Take a Hand or Box Grater and grate up the Carrot and the Onion. 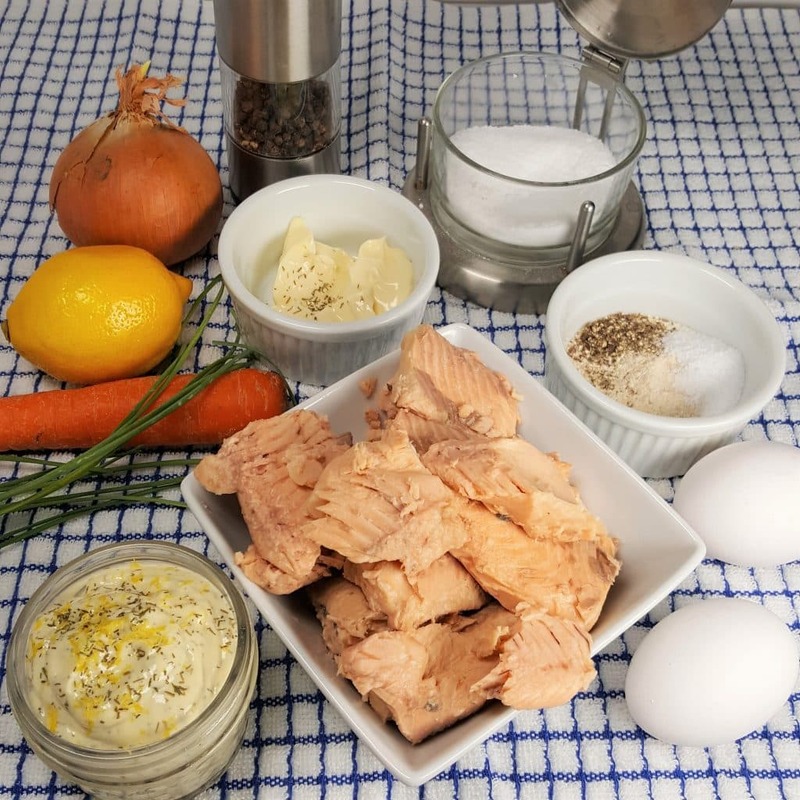 The Onion will release quite a bit of water, so just give it a quick squeeze and add the Carrot and Onion to the Mixing Bowl with the prepared Salmon. “Jewish Mom Style” refers to the fact that my mother, I assume, used Matzo Meal, rather than Seasoned Breadcrumbs. I would imagine she also added various seasonings, but I cannot remember exactly. Salmon Croquettes are popular during Passover and Matzo Meal is used in place of breadcrumbs for many recipes. 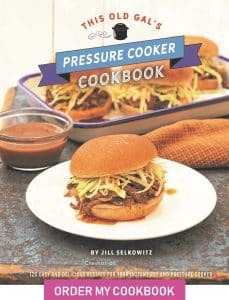 A delicious Passover Recipe is my Pressure Cooker Passover Vegetable Lasagna. It has been so long since I have made Salmon Croquettes and my memories are a bit rusty. I do remember that she did not dredge the Croquettes in Flour/Starch or Breadcrumbs prior to frying. After scanning a bunch of Salmon Croquette recipes on line, it would appear that most people use Italian Seasonings. It makes sense, since Seasoned Breadcrumbs are pretty much breadcrumbs and Italian Seasoning. For all I know, she might have used Seasoned Breadcrumbs at times. I also noticed that most people do dredge the Croquettes in Breadcrumb prior to cooking. My Crab Cakes recipe (coming soon) is mostly Lump Crab and I don’t dredge those either. Moral of the story is that the Matzo Meal and individual Seasonings can be replaced with Italian Seasoned Breads and then just add Kosher Salt and Pepper. 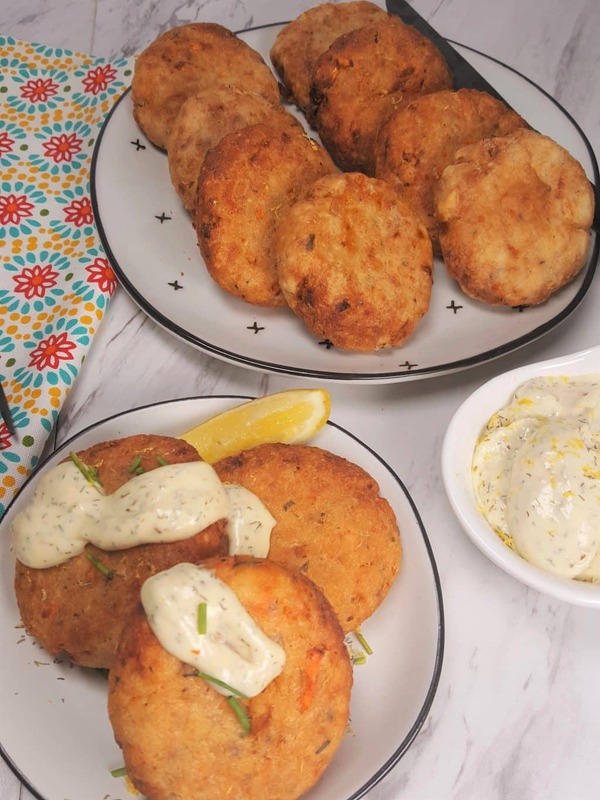 The Air Fryer Salmon Croquettes recipe makes one dozen Salmon Croquettes. Make sure to Grease your Air Fryer Basket really well. Coconut Oil has been working really well. Here is my Article on how to Properly Season/Grease Air Fryer Basket. This will help, so that food does not stick to the surface of the Air Fryer Basket. You may have to Air Fry the Salmon Croquettes in two or more batches. My large Go Wise Air Fryer, nicely fits six Salmon Croquettes. The larger Philips Avalance, will just fit five Croquettes at a time. 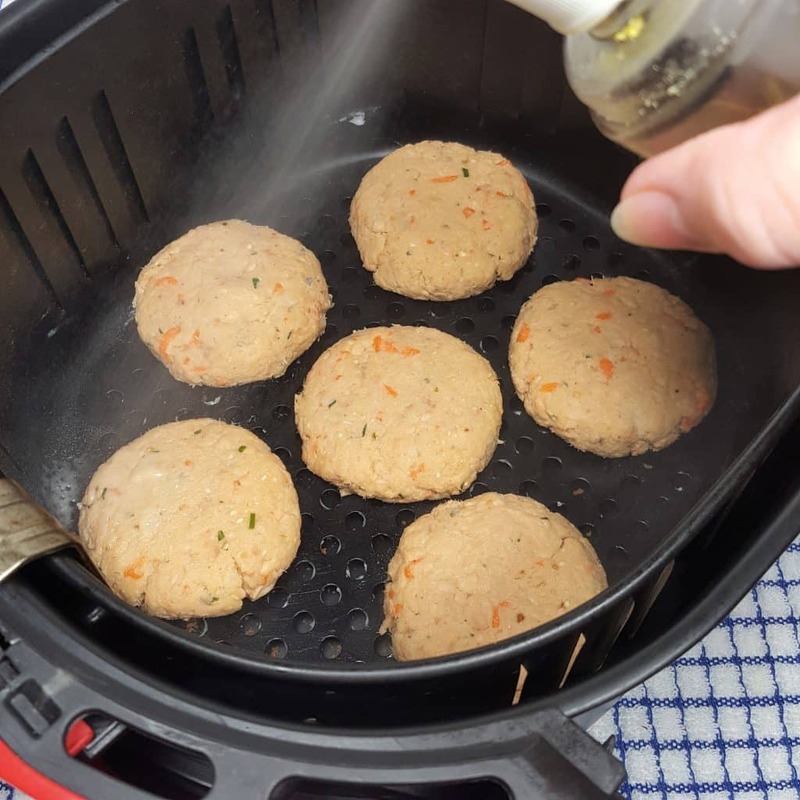 Use an Oil Mister to generously spray the Salmon Croquettes. My favorite Oil Mister to use is the Fine Life Oil Mister. It uses a pump action and after pumping, it sprays continuously to be able to spay the Croquettes really well. You may think you are using a lot of Oil, but you will be surprised. Serve the Air Fryer Salmon Croquettes with my Lemon Dill Aioli on the side. 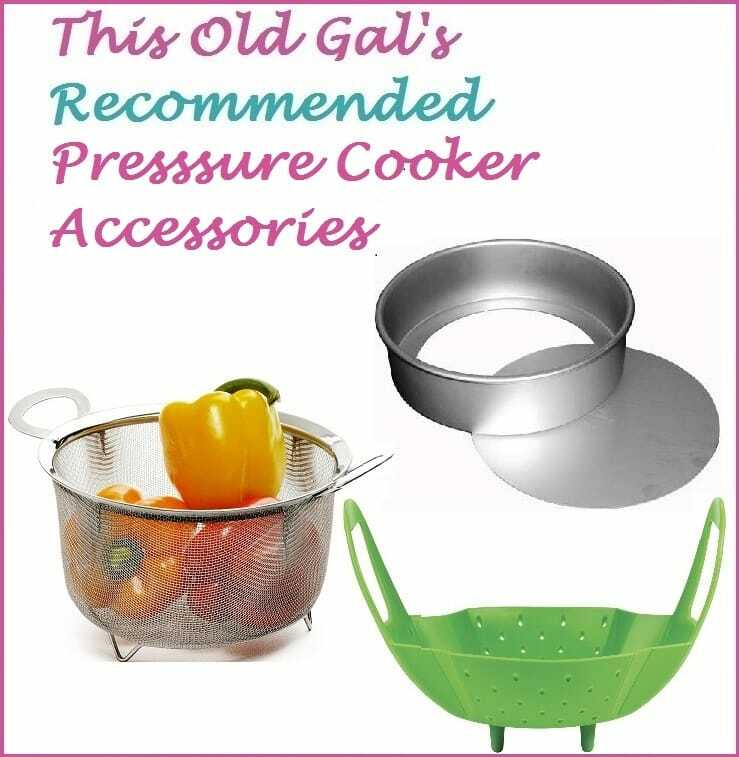 Pair the meal with my Pressure Cooker Mashed Potatoes and a nice Green Salad. For a nice lunch or brunch, prepare a salad of greens and place a couple of Salmon Croquettes right on top, with a dollop of Lemon Dill Aioli. That will make a beautiful presentation! 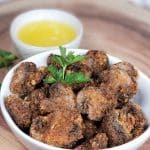 Other easy and delicious Air Fryer recipes to try are my Air Fryer Crispy Honey Garlic Chicken Wings, Air Fryer Hamburger Hamlet Zucchini Zircles and so much more. 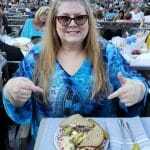 Check out all my Air Fryer Recipes. 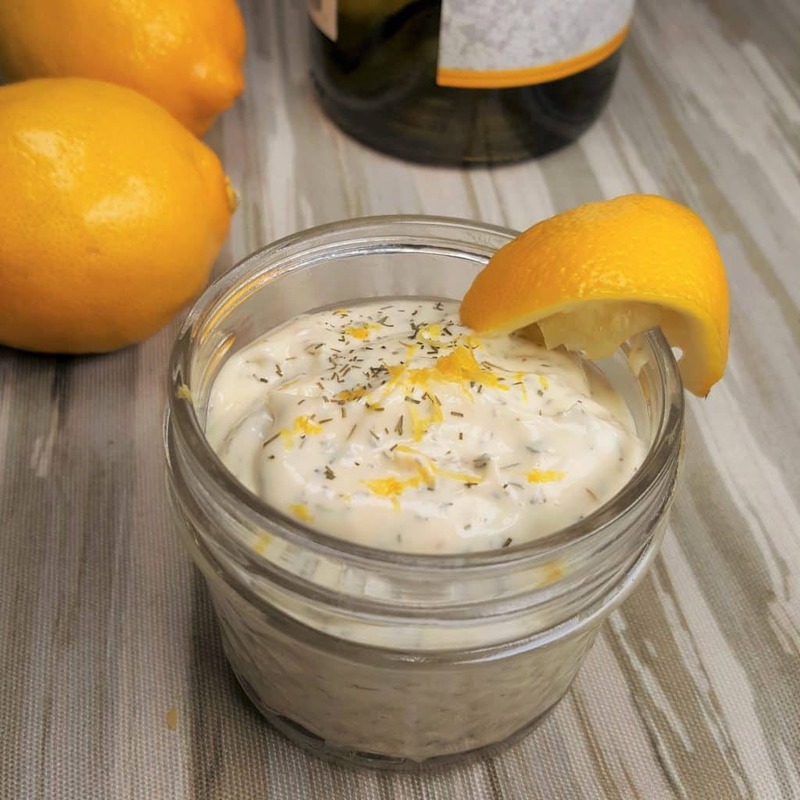 Mix together Aioli and place in airtight container in refrigerator. Remove skin and bones from Salmon and place into medium bowl. Peel and grate Carrot. Grate Onion and squeeze out excess water and add to bowl with Salmon. 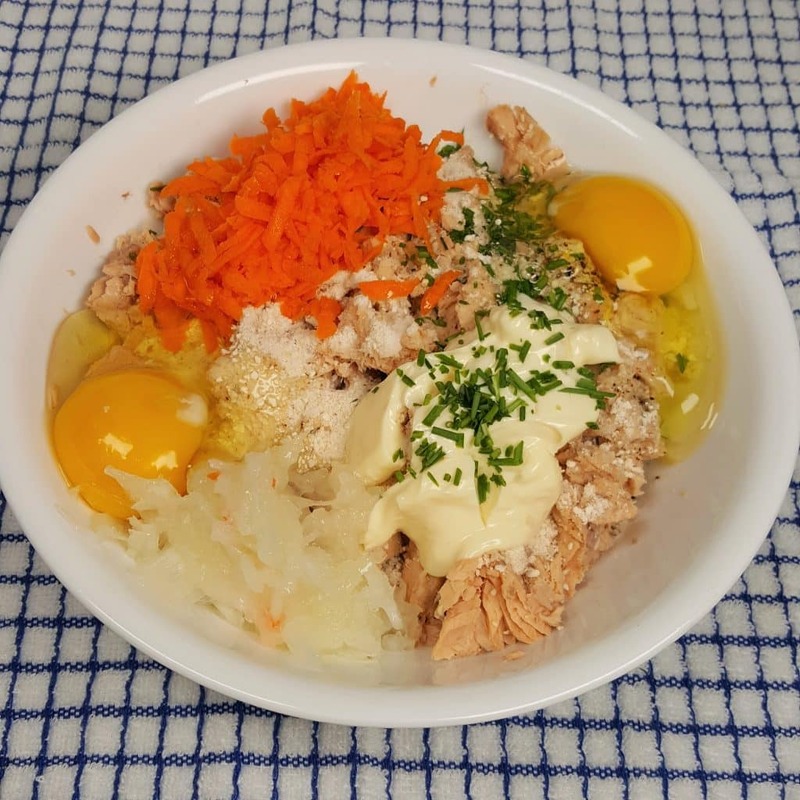 Add Eggs, Mayonnaise, Carrot, Onions, Matzo Meal, Italian Seasonings, Chives, Lemon Juice, Salt, Pepper and mix together well. Form into 12 Patties 3 inches in diameter by about 3/4 inch thick. 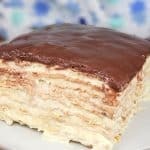 Place in refrigerator for at least 30 minutes. 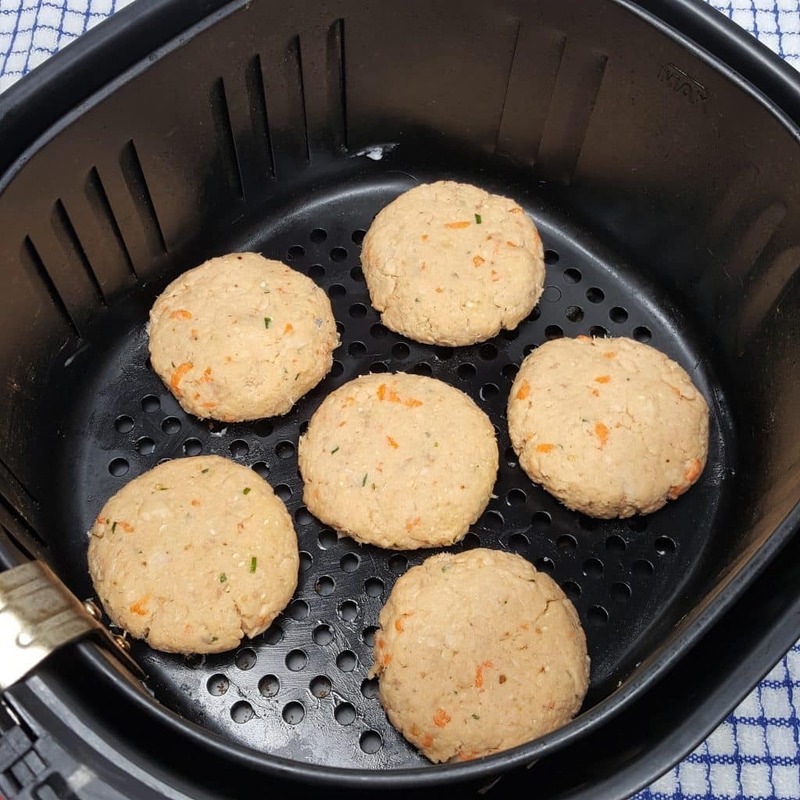 Place Patties in a single layer into greased Air Fryer Basket and spray well with Oil. Cook at 400 degrees for 6 minutes and then flip over. Spray again with Oil and cook 4 minutes, or until brown on both sides. Garnish with Chives and Lemon Zest. Serve with Lemon Dill Aioli. Italian Breadcrumbs can be used in place of Matzo Meal and Italian Seasoning. PIN this Air Fryer Salmon Croquettes! This looks so good! I am waiting for my air-fryer to come in today and I think this will be the first thing I try along with the Instant-pot mashed potatoes! You are aware that the bones in canned salmon are cooked soft and provide a nice bit of calcium? My mom made salmon croquettes similar to these, but crushed the bones and mixed them into the fish. I never knew they were there until she told me. 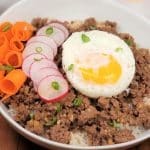 You’ve removed so much nutrition from this recipe! 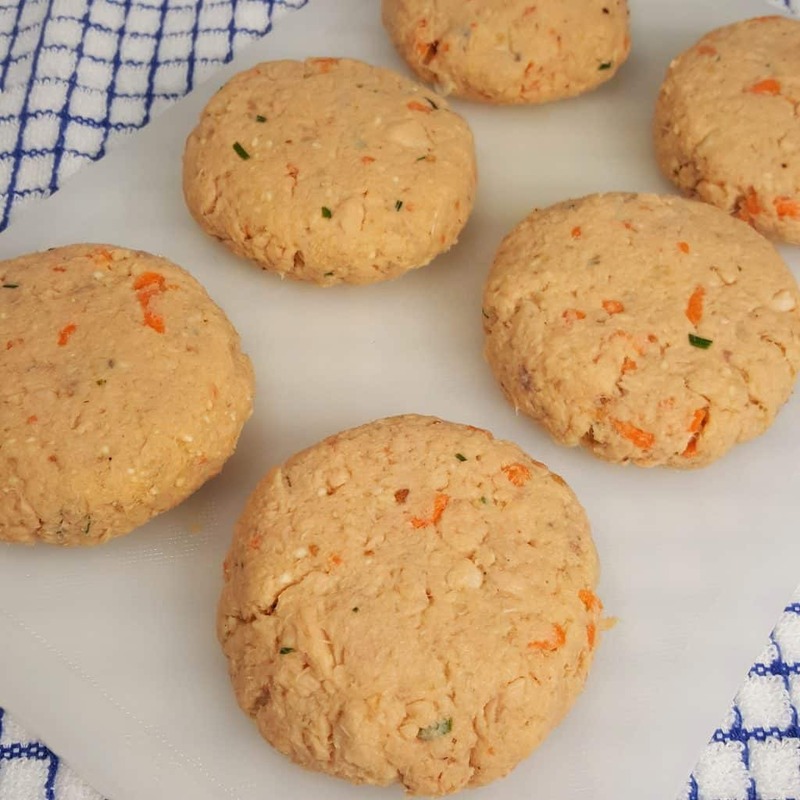 I was looking at this recipe and was wondering if you had ever thought about using a hamburger press to make the salmon patties? I’d like to know what the nutritional value is on this recipe.